Book an Indoor Party Now! Click the green "Add to Cart" button to see available dates and times, and then book it now online! - Private Party Room for entire 2 hours during our open play time! 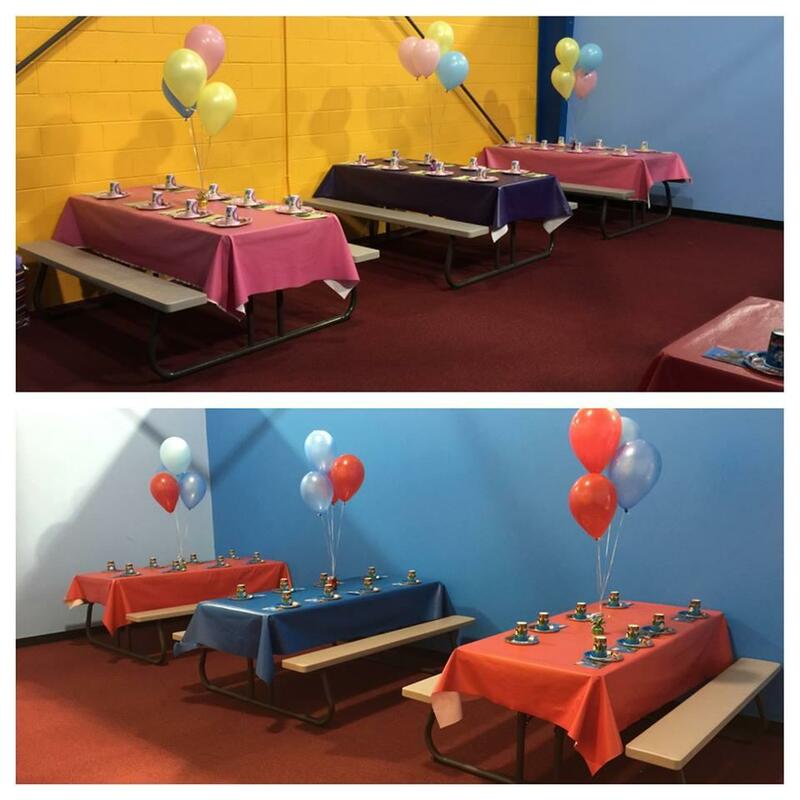 This Private Party Room has five picnic tables with seating, and two tables for gifts and/or food. Please note this area will need to accomodate both your children and adult guests. Please invite accordingly so you are comfortable in your party area. - Up to 25 kids admission PLUS the party child. Want to make it just a little bit easier? Choose a party pack at checkout and we can do the food and/or we can do the decorating for you, too! Decoration themes include: Frozen, Hello Kitty, My Little Pony, Minnie Mouse, Mickey Mouse, Curious George, Teenage Mutant Ninja Turtles, Avengers, Spiderman, and more by request.